Aries and Gemini mesh well together because they have many things in common. Both Aries and Gemini like to live a life filled with energy and excitement and both want to do something new all the time. These two are both energetic and are despise boredom. Together they will discard anything too boring and they never do anything that won’t offer a challenge. The are always looking forward for better things in life and are both determined to have a better future. Aries will provide a perfect amount of freedom for their Gemini lover while the Gemini will respect the Aries individuality and personality. This mentality of “give and take” will make their bond stronger and allow both partners to be happy. While both of these signs have a lot in common, they are bound to face some occasional problems. Normally, Geminis tend to take some time to express themselves and figure out what to do which might irritate an Aries and cause them to become restless. However, these two will always have meaningful arguments that display their intellectual skills! Together these arguments and their enthusiasm for life will aid in eachother’s outlook and make each of them better people. Aries and Gemini is a great match because you have so much in common. You both get bored easily, seek excitement, need personal space and freedom, love debates and like to do everything at 100 miles per hour. These two signs of the zodiac were made for each other. A first date between Aries and Gemini will be full of captivating conversation and electricity. These two signs are typically sexually attracted to each other immediately. 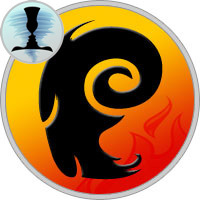 An Aries is driven by the conquest, and Gemini is spellbound by the sexual directness of Aries. A long-term relationship is not only possible but can be very successful. Aries and Gemini both crave active, demanding lifestyles, but their interest disappears if things become routine. The Gemini is fatally curious and often mischievous while Aries is driven by chemistry, action and the chasing of rainbows. These two zodiac lovers will challenge each other both physically and mentally. The Aries man or woman doesn’t like clingy lovers. Both, Gemini men and women need time for themselves and respect for their opinions. Neither sign wants to get tangled up in emotional problems. They don’t want the responsibility of providing long-term support, or being on the hook for never-ending entanglements. Astrologically, if there is not an immediate connection between these two they will feel it right away. The difficult side of the Gemini is being a bit skittish. These lovers are artful and persuasive. The Gemini man is the one to have a casual fling with. The Gemini woman holds back and possibly appears too casual until she feels that this is the man. If there is an immediate connection, stand back. Both men and women of these two zodiac signs are passionate and physical lovers. With this couple, love talk is given and thoroughly enjoyed, in and out of the bedroom. The Gemini woman wants to hear the sensual plans her Aries man has in store for her and lavishes in hearing how he will get what he wants. A marriage of these two can be an excellent love match. Both enjoy giving advice and helping each other. Aries’ insecurity is calmed by Gemini’s appreciation of these lover’s opinions. Gemini is simply a master of communication and will help in any way possible.